Bachurim from the Yeshivah Gedolah Ohr Hatalmud Gateshead seen learning in Amsterdam, during their stay with the kehillah. Last Shabbos, the kehillah of Amsterdam was privileged to host 13 bachurim of Yeshivah Gedolah Ohr Hatalmud Gateshead with their Rosh Yeshivah, Harav Ezriel Jaffe, shlita. While the rest of the yeshivah were enjoying their weekend break at home, these bachurim selflessly gave away their time to be machzik Torah. The bachurim were hosted by kehillah members, and the weekend got off to a good start with local high school students joining them for a lively Leil Shishi supper and kumzitz. 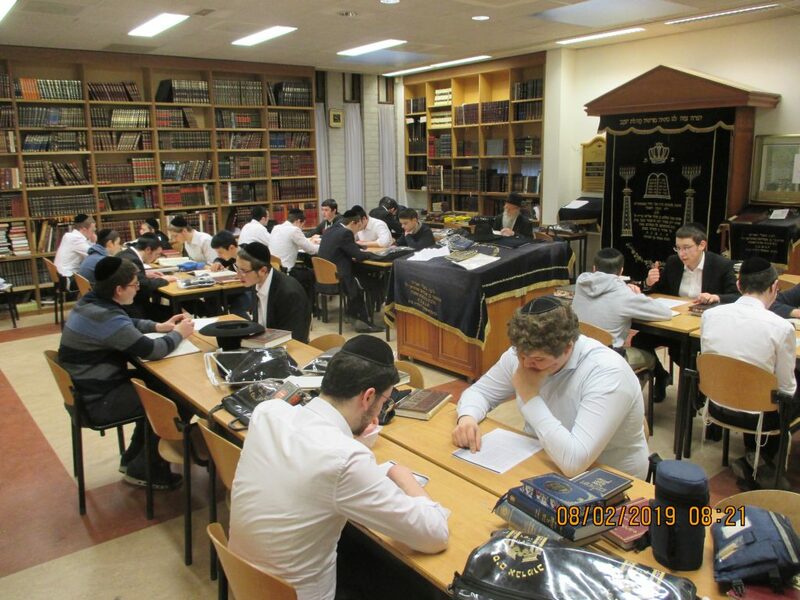 On Friday morning arrangements were made for regular sedarim over the weekend where the students were able to learn b’chavrusa with the bachurim, covering the sugya of mitzvas aseh shehazman gromah. The Rosh Yeshivah delivered a short shiur after each seder. Over Shabbos, the kehillah was zocheh to be inspired many times over by the powerful drashos from Harav Ezriel Jaffe. On Motzoei Shabbos, the presence of the bachurim made a great impact at the weekly Avos Ubanim. The weekend proved to be a great kiddush Hashem for the Yidden of Amsterdam to see how true bnei Torah conduct themselves in a modest and refined manner. Organizers received extremely positive feedback regarding the Shabbos hischazkus.